She's Fantastic: Power Rangers Dino Charge PINK RANGER! Power Rangers Dino Charge PINK RANGER! 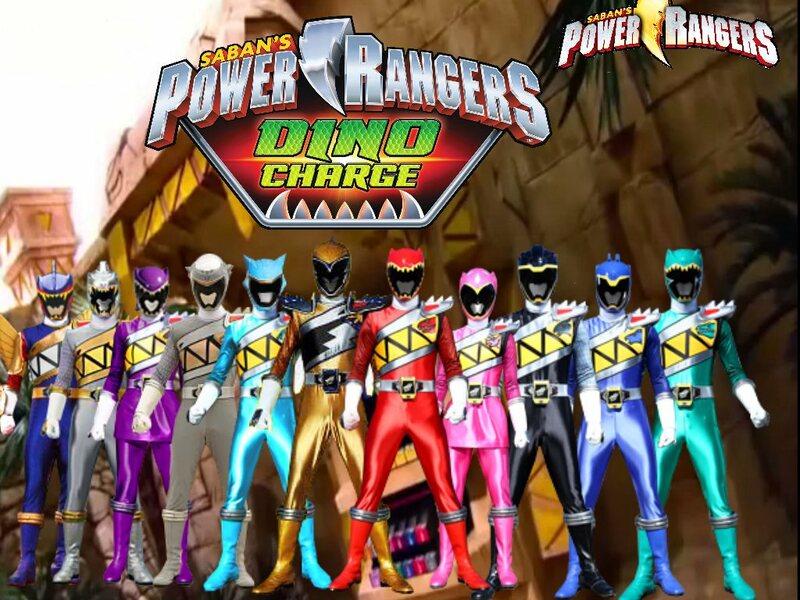 Power Rangers: Dino Charge is the latest iteration of the long-running American Power Rangers series. This is based off the 37th Sentai series Zyuden Sentai Kyoryuger. As far as I can tell, this is the third Ranger series with a dinosaur theme (after 1993's Mighty Morphin Power Rangers and 2004's Dino Thunder). What I really like about this current series, though, is that there is representation of some very cool dinosaurs outside of the obvious bunch. The Black Ranger is a Parasaurolophus, the Purple Ranger is a Plesiosaur, and the Gray Ranger is a Pachycephalosaurus. Fellow dino-nerds will really appreciate the selection. The other great thing about this series is the prolific number of rangers. 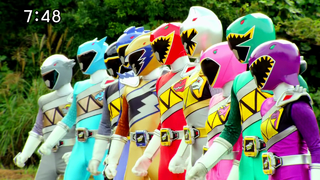 There are 6 main Rangers, 5 additional "independant" Rangers, 1 evil Ranger, and a team of 6 Future Rangers. The females are the Violet Ranger from the independent group and the Cyan Ranger from the future team. I hope we get figures of them all. But for now, let's check out Pink Ranger below! The Pink Ranger is based on a Triceratops. Here are some pictures of the whole crew with the Violet Ranger (a Plesiosaur). And here is a pic of the Future Cyan Ranger (an Ankylosaur). Here she is with the two Mega Force Rangers from last year. These were the first two figures in the larger 5" scale. And with a couple of the smaller Samurai figures.